Badger Bonsai Society is a member of Mid-America Bonsai Alliance (MABA) and Bonsai Clubs International (BCI). 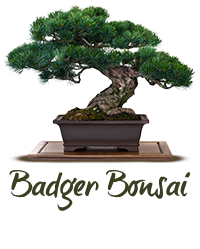 The Badger Bonsai Society (BBS) was formed in 1972 for the purpose of promoting and enjoying the ancient art of bonsai in and around the Madison-Wisconsin area. Badger Bonsai Society meetings are open to the public, and anyone interested can attend. However, if you wish to continue attending meetings, you must join as it pays for the cost of the workshops, guests, etc. Membership dues are $25/year (individual) or $35/year (family) and starting Jan-2019, $10/year for students. Members receive the monthly newsletter. Members also participate in an annual show. Meetings are generally held on the second Thursday of every month from 6:30pm to 8pm at Olbrich Botanical Gardens, except for January and July when the club has special dinner meetings.